Sweet Green Cafe @ Sh. 18 / Barkly Sq. 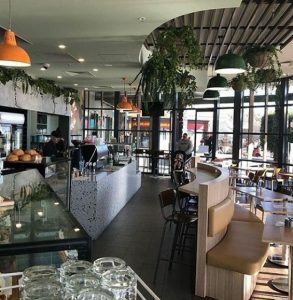 Sweet Green Café has recently opened at the back of Barkly Square, to give customers a casual place to sit back and enjoy a coffee. The Café is run by a local Brunswick family, with over 50 years of hospitality experience! They offer assorted goodies from gelati to cakes and focaccias, all homemade. They are looking forward to summer in Sydney Road (and Barkly Square) with all the locals and visitors to the area!